Camp Nightingale is the most elite summer camp you can possibly send your children to. A once-in-a-lifetime moment allows a girl by the name of Emma to come here. Turns out, it was the last summer the camp was ever open. Reason being, Emma watched the three older girls who shared her cabin walk out in the middle of the night, and never return. An investigation ensued, but Emma could tell the law nothing, and the camp was immediately shut down. Fast forward 15 years. Emma is now grown up and has become an artist. Her huge paintings are currently hanging in a gallery with people purchasing them left and right. Emma is obsessed with what happened long ago and her work proves that. 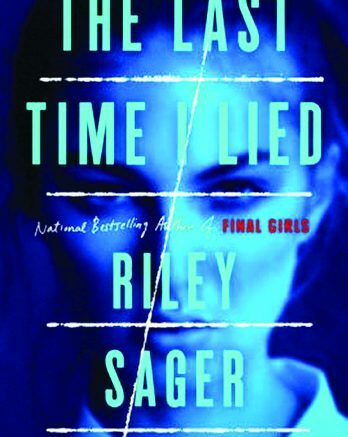 She has done a series that actually has a secret: under all the browns and thick greens of the wooded scenes are three girls looking just like they did the night they disappeared. Emma runs into Mrs. Harris White (AKA: Franny) at the gallery. It is her rich family that owns the camp. She tells Emma that they are planning a grand re-opening. They want to put the horror in the past and want Emma, along with others from back then, to join them. Although she should run away from this offer, Emma knows this is the chance she’s been waiting for to return to the scene and find out the truth of what happened. When she arrives, however, things go from odd to frightening. As Emma investigates the past, she finds everything from a hidden camera to a piece of paper from 15 years earlier that unveils the history of the camp and the greed, lies and murder it is built upon. No review will do this book justice. The author has done a fantastic job creating a tale that leaves you breathless. If not a fan yet, read this and you will be one for life! 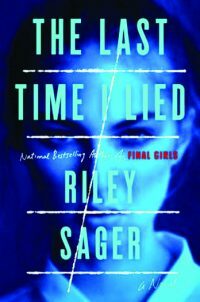 Be the first to comment on "“The Last Time I Lied” by Riley Sager"